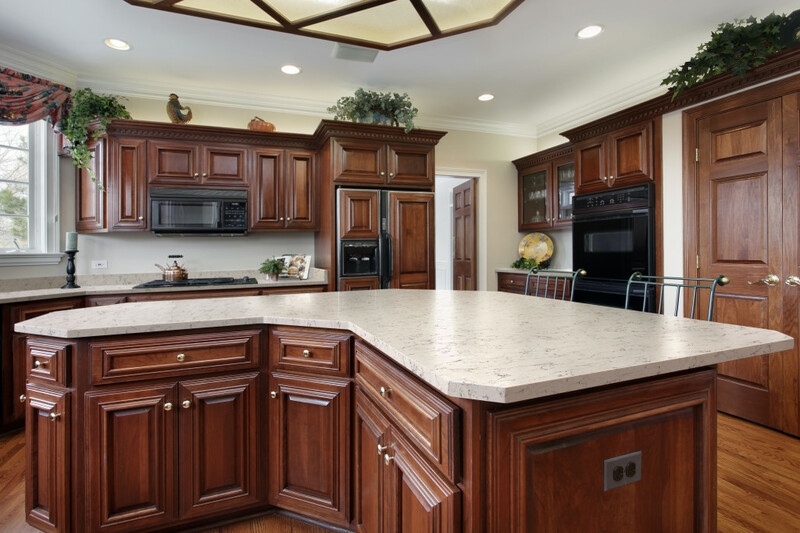 Engineered Stone | R &D Marble, Inc. 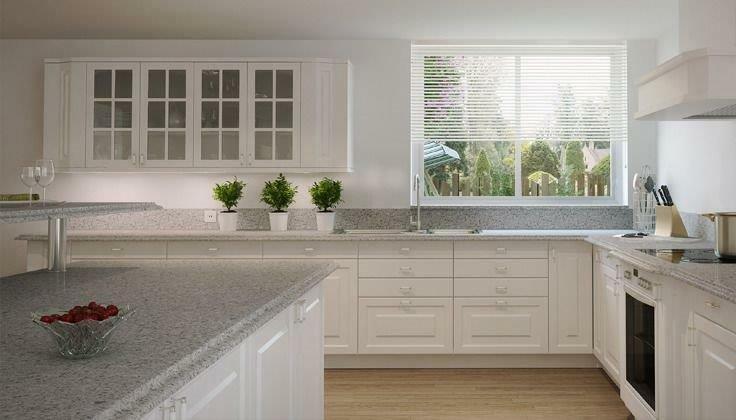 If you’re looking for products that are good for the environment, quartz (engineered stone) is one of the most Eco-friendly choices available. This beautiful stone is hygienic, durable and very easy to care for. 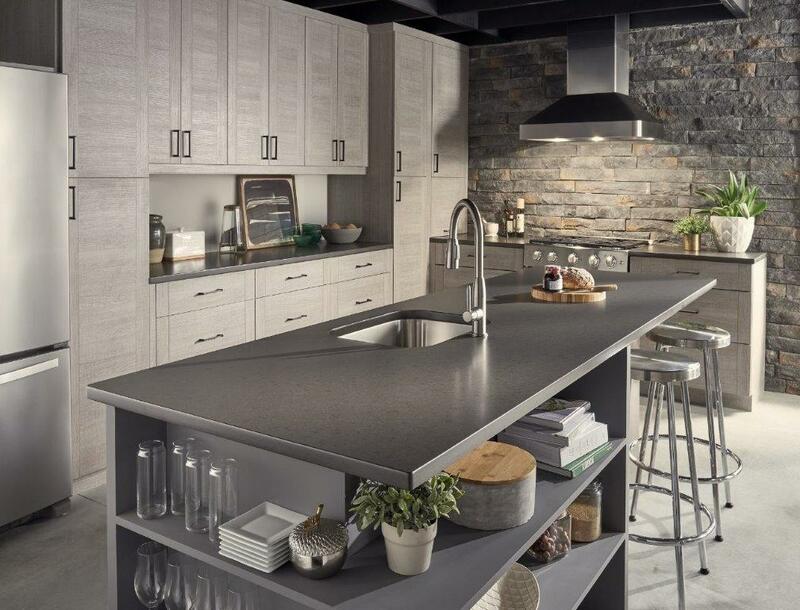 A perfect solution for high-wear uses such as kitchen countertops, quartz is acid-resistant and non-absorptive with a wide variety of options for color and design. 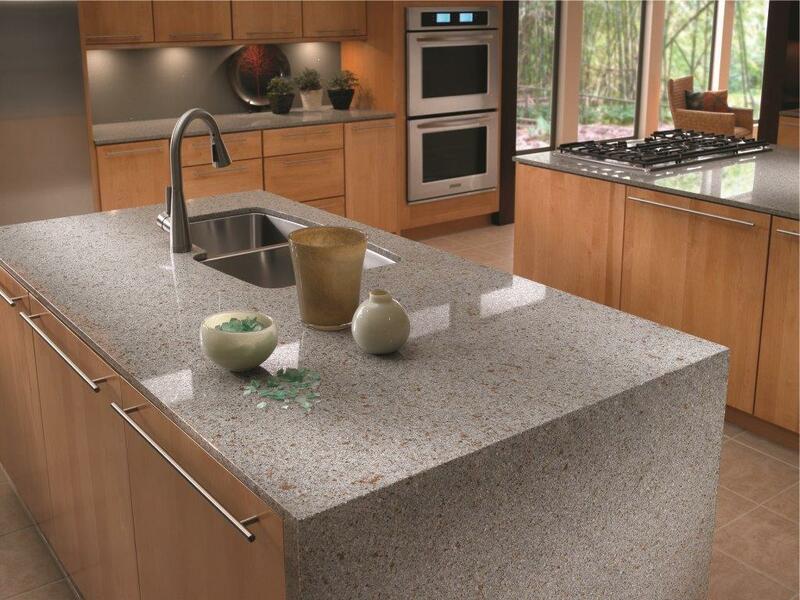 Quartz is heat resistant and does not accumulate bacteria or mold, and best of all is very easy to maintain. R & D Marble carries an extensive selection of engineered stone products from a number of manufacturers. 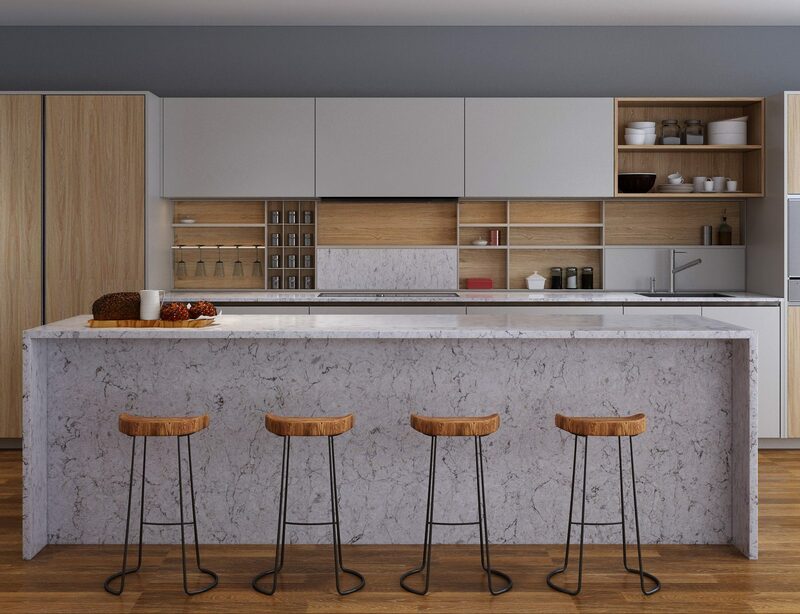 Explore the different options below to learn more about the benefits of choosing engineered stone for your kitchen or bathroom project. The best combination of nature and technology. 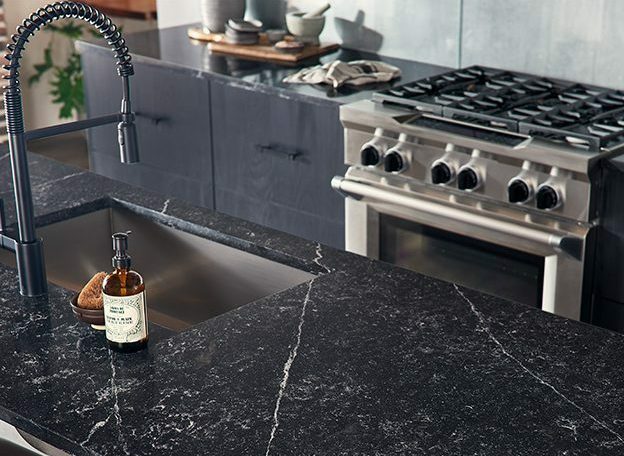 Designed for practical excellence – America’s natural quartz surfaces. 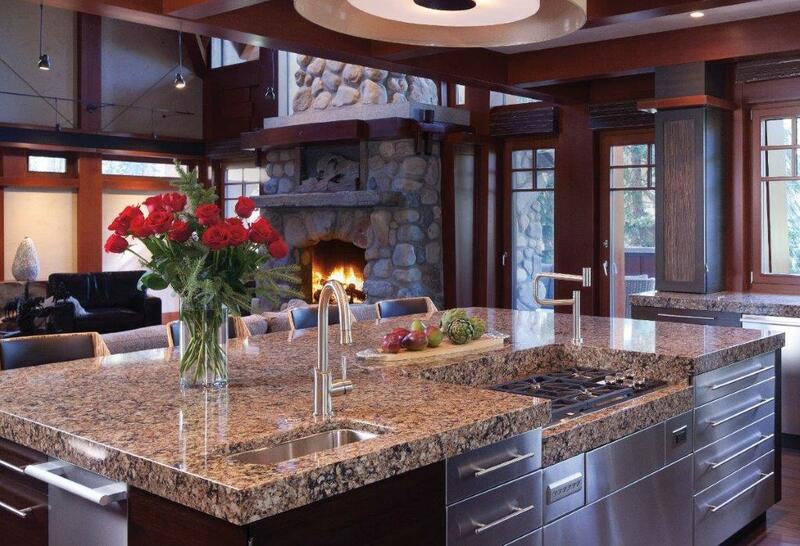 Astonishing beauty + twice the strength of granite = the ultimate countertop surface. The pinnacle of innovation & stylishness. Captivating combination of manmade & natural characteristics. An eco-friendly option superior in strength to stone – easily withstanding the test of time. Choose from a wide color pallet with more than 100 designs. What do you get when you combine natural quartz stone with a proprietary manufactured composite? The result is an exceptionally long-lasting surface that will give you years of practical daily use while maintaining its beauty. 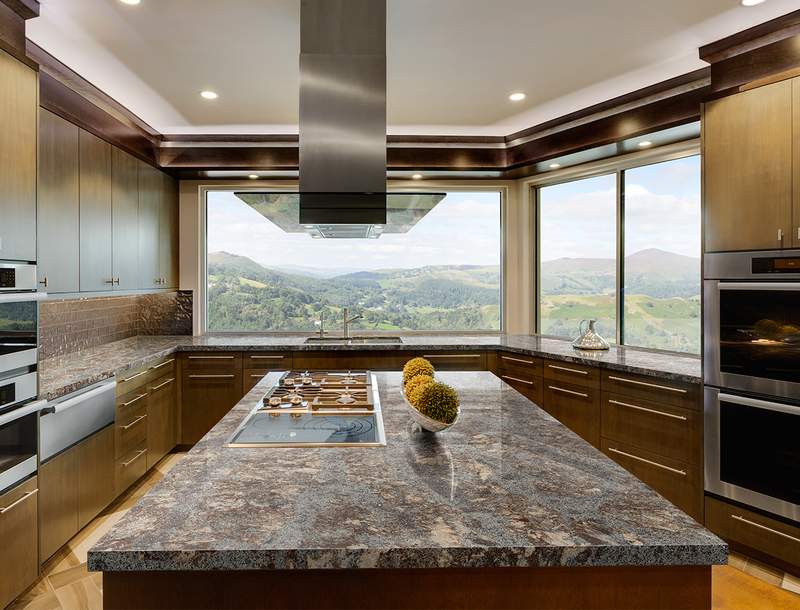 Used in both commercial or residential installations, engineered stone is harder, more flexible and less porous than many types of natural stone making it more resistant to mold and mildew. With a uniform internal structure, it also does not have hidden cracks or flaws that are often found in natural stone. If you’re looking for a stone that is easy to maintain, engineered stone is a fantastic choice. It’s non-porous and stain-resistant without the need for annual sealing. Using regular non-abrasive household cleaners or soapy warm water is all that is required to keep the engineered stone’s surface maintaining its original shine and looking brand new for many years to come. 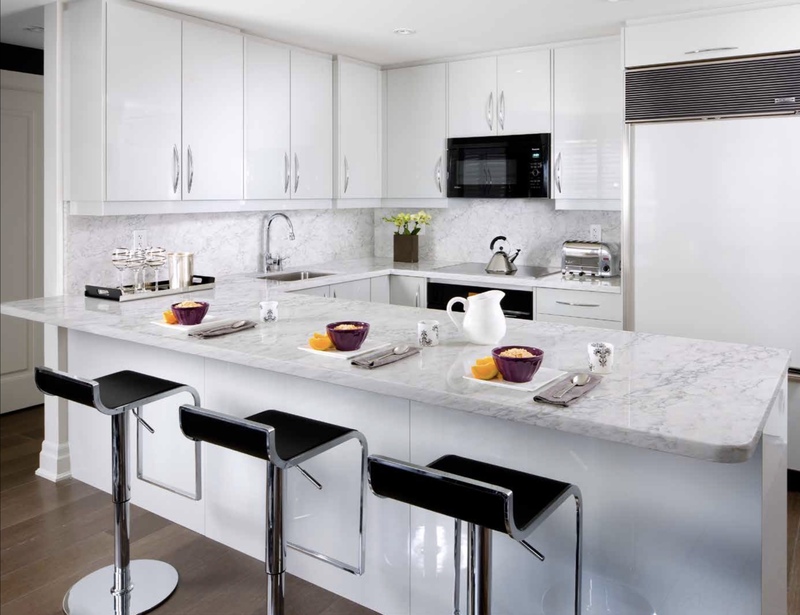 Whether you’re looking for countertops suitable for a growing family or need something easy to keep clean and pristine in a business setting, engineered stone is a viable option.